One night in late July, I arrived home around midnight after a long shift at my part-time job. A few minutes later, I was standing on the side of the road staring up at a particular corner of the sky as the dog did her business, when a light suddenly zipped through the stars. I had never seen a shooting star before, but I recognized it immediately. The short line of light happened so fast, if I had blinked – or been looking anywhere else in the sky but that exact spot – I would have missed it. I let out a little yelp of excitement, and then quickly closed my eyes. I made a very simple wish: to be successful. As we walked back to the house, though, I started to feel misgivings. I wasn’t sure if just wishing for “success” was specific enough. Could I amend the wish now? Or did I have to wait for another shooting star? What did I even mean by that? What did success look like for me? I thought about it for the next few days. The (Perseids) shower is visible from mid-July each year, with the peak in activity between 9 and 14 August, depending on the particular location of the stream. During the peak, the rate of meteors reaches 60 or more per hour. They can be seen all across the sky; however, because of the shower’s radiant in the constellation of Perseus, the Perseids are primarily visible in the Northern Hemisphere. As with many meteor showers the visible rate is greatest in the pre-dawn hours, since more meteoroids are scooped up by the side of the Earth moving forward into the stream, corresponding to local times between midnight and noon. Some can also be seen before midnight. This year the Perseids were supposed to begin on August 12th. Several friends said they were planning to stay up (or get up) late to see them, but I was too tired (it was another work day). Around 9:00pm, I went outside with the dog for a few minutes of stick-throwing in the backyard, where it is completely dark but the eyes adjust. Between throws, I stared up at the sky again. Another quick beam of light suddenly shot across the sky – my second shooting star! I didn’t know if it was part of the Perseids or not, but I quickly closed my eyes again and wished for something more specific than before: to sell my memoir. Everyone’s vision of success is different. One can be successful in the traditional sense (i.e. “rich and famous”) but still not feel entirely successful if other areas of life are lacking, or if one never has time to enjoy it. I know people who define success purely in terms of money – if they no longer need to work, or if they never have to worry about money, that is success. I know plenty of other people who aren’t rich or famous, but feel successful because they’re raising happy, healthy, confident children. I know others who seemingly “have it all,” but still want more. Then I remembered a drawing that I used to repeatedly draw as a child. The image is etched into my mind. The drawing was of a house… a red brick house with three floors, including a pitched attic. The house always had five windows, two on the first floor, two on the second, one in the attic. I always filled in each window with yellow, indicating that the lights were on. The house also had a chimney, and I always drew smoke coming out of the chimney. The outside of the house was a tidy green lawn with several flowers growing. In the corner of the page there was a large yellow sun, its rays represented by alternating long and short strokes. Elsewhere in the sky I drew several black birds, in the shape of wide “M’s”. I never drew any people. I always imagined them inside, sitting around the cozy fire, enjoying each other’s company. The drawing was my childhood image of a happy home (albeit not very energy-conserving). Sometimes I think that drawing – what it represented – is what I’ve been searching for all my life. Yes, I want to sell my memoir and screenplays and make films and win awards and be recognized for my art and work with amazing people and make lots of money. But all of that is simply a means to an end. Ultimately, I want the same thing I’ve wanted since I was a little girl: security, family, peace, warmth and time to enjoy it all. And really… I have some of these things now, or a version of them. Though I don’t own it, I live in a house with two floors and an attic (no fireplace, and not brick). I don’t feel the kind of financial security I want, but I’m working towards it. I’m single but I live near family and have a dog I love. I generally do feel peaceful and warm, and I do take time to enjoy it all. We could always have more money in our bank accounts, more stuff, more friends, more recognition, and so on. But we’re also rich in other ways right now. We are alive. We have ourselves. We have each other. We have nature. Perhaps how we treat all of the above is the real measure of success. Categories: Behavior, Blog, Grief, Life, Lifestyle, Writing | Tags: Dalai Lama quotes, definitions of success, the Perseids, wishing on a star | Permalink. Great post, something I think about often. One of the reasons I picked the name for my blog was as a reminder to live each day with appreciation for what I’ve got. If I could always remember that would be a great success. 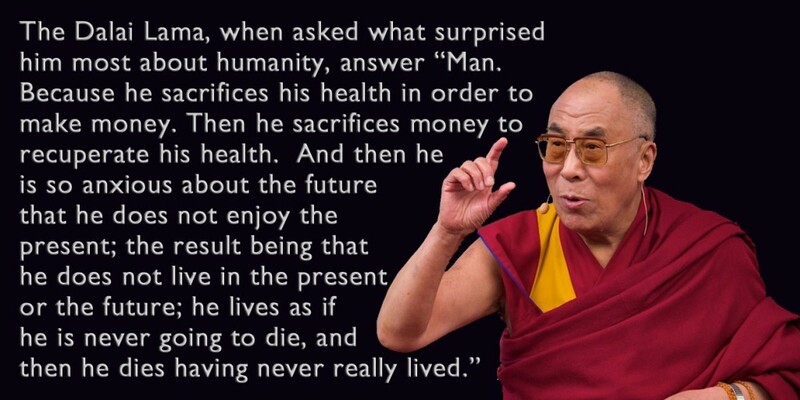 Always loved the Dalai Lama’s quote. thanks, I love the inspiration behind your blog’s name! Thanks, Niva. It’s a constant issue and doesn’t resolve easily for me. What is it I truly long for? All the worldly things I think I want just lead to more worldly desires. Will it ever be enough? According to Goodreads, the quote is from James J. Lachard: https://www.goodreads.com/quotes/525471-man-surprised-me-most-about-humanity-because-he-sacrifices-his. 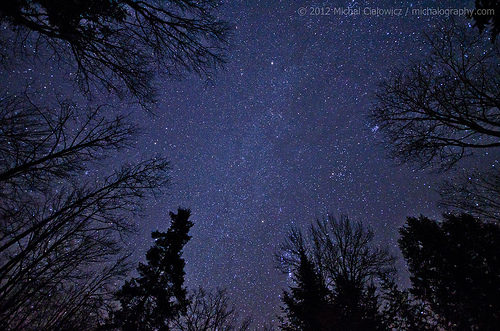 Best thing for me is to wish to see another shooting star, or maybe a Monarch. This is a very descriptive post and I appreciate your take on success. I have found that my success in the business world is due to the fact that I follow the careers of those who are more successful than myself. I have been following the career of Mark Hurd for the last few years now, since he has taken over at Oracle. I have also been impressed with his leadership and ability to turn a company around. I have closely following his statements at OpenWorld 2016 and I am excited for what he has in store and I am looking forward to the direction that Oracle is heading in the next few years.